It was a gorgeous day for Lisa and Robert’s wedding day. 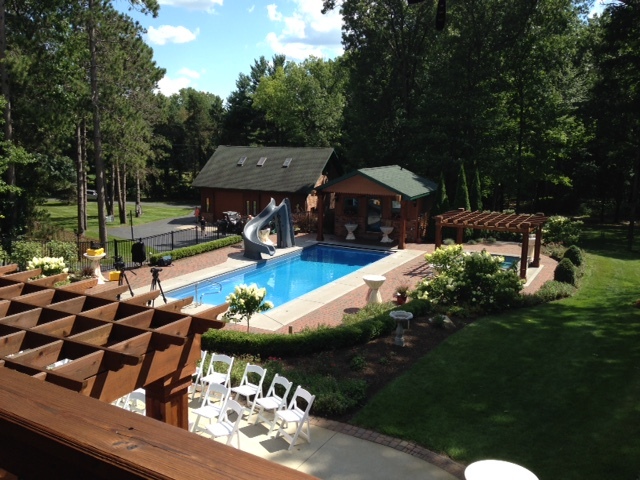 Held at Lisa’s family home, guests gathered around the pool, patio and beautifully landscaped yard to witness the couple exchange their vows. Tammara Kane from Grand Jour Events orchestrated the day and had us set up on the balcony overlooking the ceremony. We played the older romantic tunes of “At Last” “I Only Have Eyes for You” and “The Way You Look Tonight”. We stayed in the balcony for cocktails and entertained the guests with more nostalgic and contemporary songs. We wondered if the guests could hear us clearly over the conversation and tinkle of glasses but our concerns were put to rest when upon finishing, they began to applaud. 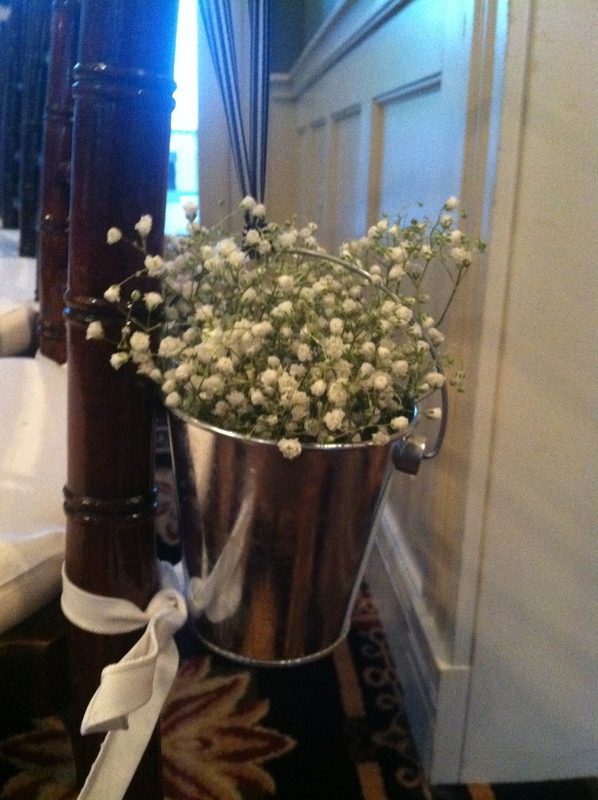 Thanks to all those guests who took the time to compliment and thank us on the way out. Two Unique Caterers handled this large job with precision both during the cocktail hour and reception. And we understand that Zingerman’s Bakehouse maintained it’s reputation for awesome sweets and elegant wedding cakes. The guests enjoyed the music selections of Dirk, a star DJ from the Troy based Memory Makers and had a great time with Rock the Booth photo booth throughout the evening. 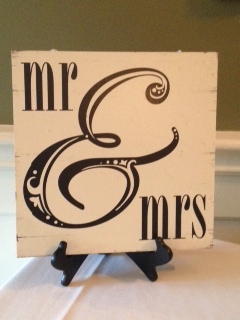 Congratulations to the Robert and Lisa who proved that weddings at a family home can be a top notch event. Outdoor weddings always provide the challenge of unexpected weather. Courtney and John had a humid July day for their outdoor ceremony at The Mansion. Originally a 19 room English Manor, The Mansion was built by Colonel Waldon in 1927. 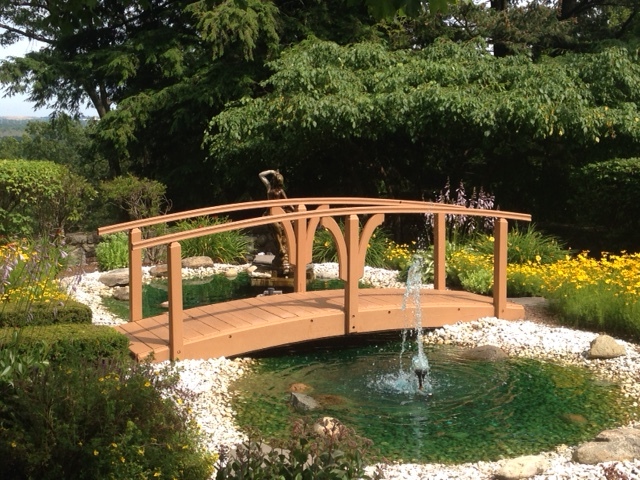 It sits on the highest natural point in Southeastern Michigan and is surrounded by exquisite manicured gardens. Due to it’s elevation, there is always a refreshing breeze to be found and shady seating available on the patio. The couple requested the romantic music of “Always”, “What a Wonderful World”, “The Ludlows” and “Here Comes the Sun” for there ceremony. 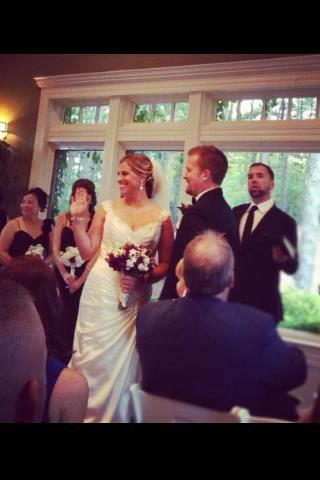 Samantha Hardenburgh acted as both bridesmaid and officiant! She did an awesome job sharing personal anecdotes of the couple and their relationship. Elise Brzozowksi from Frosted Pink Events had the day beautifully orchestrated. Parsonage Events of Clarkston did the flowers while Jim Salter of JRS Mobile Sound and cousin to the couple, provided the DJ services for the reception. Following the ceremony, the guests enjoyed a cocktail hour followed by dinner in the Great Hall which features arched ceilings and stained glass windows. If you are looking for a unique and elegant setting for your wedding, The Mansion is worth a serious look. Kaitlyn and Andrew are one of those unique couples whose relationship has already stood the test of time. High school sweethearts, they sustained their love through five years of college and the resulting long distance relationship. Nicole Bertucci of “A Simple I Do” opened the ceremony with the beautiful story of Andrew’s proposal in what is know knows as the “proposal patch”. By the time she finished, many were wiping a sentimental tear. The bridesmaids,dressed in a pretty aqua blue, walked to “A Thousand Years” while Kaitlyn processed to “Love Story”. A moment of remembrance was included in the ceremony with guests blowing “bubble kisses” to the sky while we played “You Raise Me Up”. 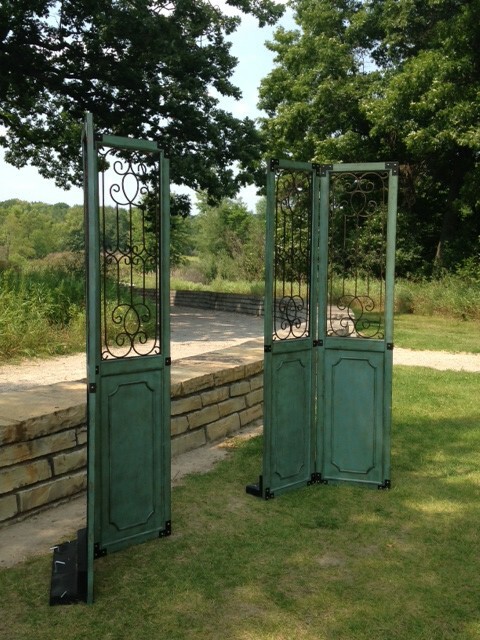 It was a beautiful day at the Oak Circle of Indian Springs Metropark. 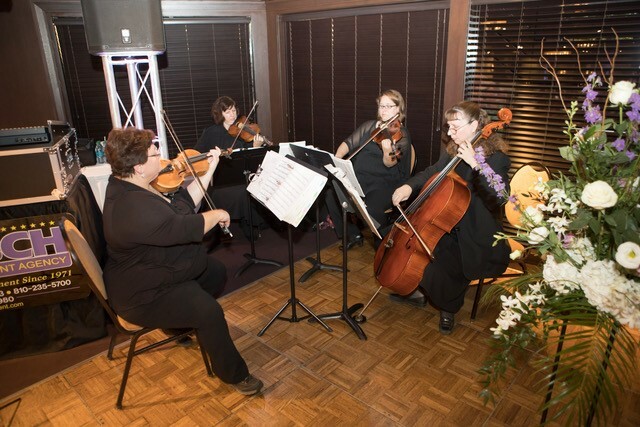 It’s always a pleasure to play for a wedding at Oakhurst Golf and Country Club. Coordinator Regina Hoder does a fantastic job of keeping things on time and handling the details with practical efficiency. Marissa and Jonathan’s wedding was beautiful example of an Oakhurst wedding. 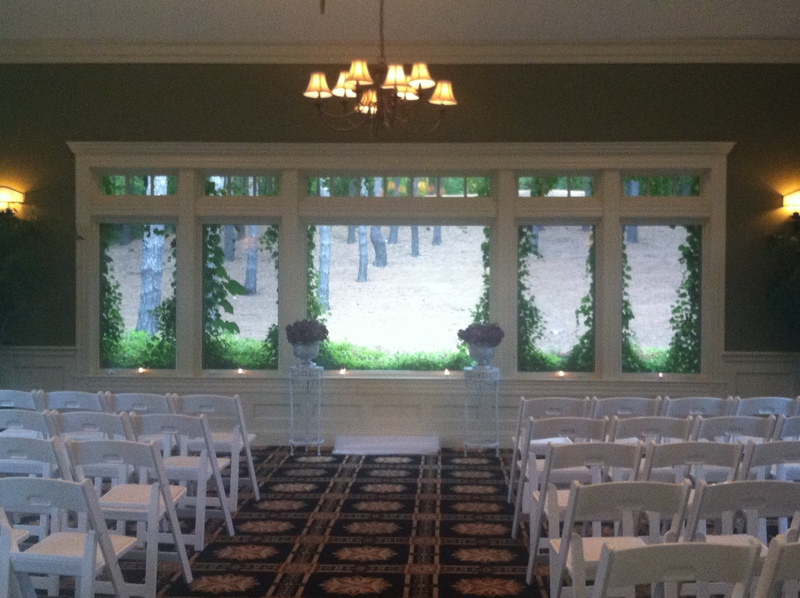 The ceremony was held in the garden room overlooking the pine grove. Nichole Bertucci from “A Simple I Do” led a touching ceremony complete with a unity candle for the bride and groom. 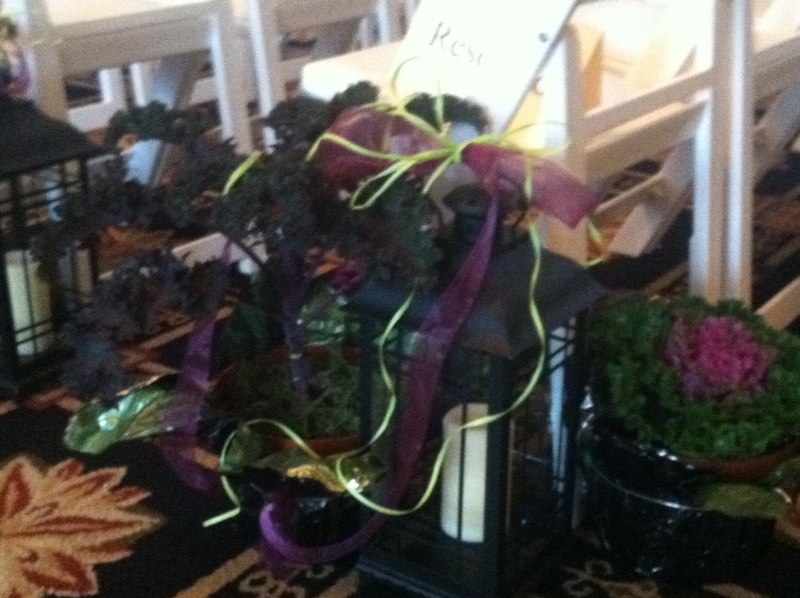 The bridal party wore stunning black dresses and walked to Jesu Joy of Man’s Desiring with the family. Marissa entered to Kannon in D by Palchelbel. Following the ceremony, we played for the cocktail hour and entertained the guests with music from Lady Gaga, Katy Perry, Taylor Swift, Coldplay and Pink. Everyone appeared to be having a great time. Congratulations and best wishes to arissa and Jonathan! Congratulations to Taylor and Tim! They were married last week at Oakhurst coordinator for Oakhurst Country Club in Clarkston. Regina, wedding coordinator for Oakhurst, does a great job keeping things running on time. 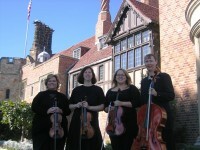 We’ve performed there several times this summer and will be back for another wedding next week. Having worked with her now several times, we appreciate her efficiency and watchful eye. At the couple’s request, we played All I Ask of You, Music of the Night, Memory and Can’t Help Falling In Love as part of the guests seating. The family was seated to The Prayer from the movie, Quest for Camelot while Taylor processed to Jesu, Joy. Ethan, cousin of the bride, played guitar and sang “I’ll Be” by Edwin McCain for the lighting of the Unity Candle. 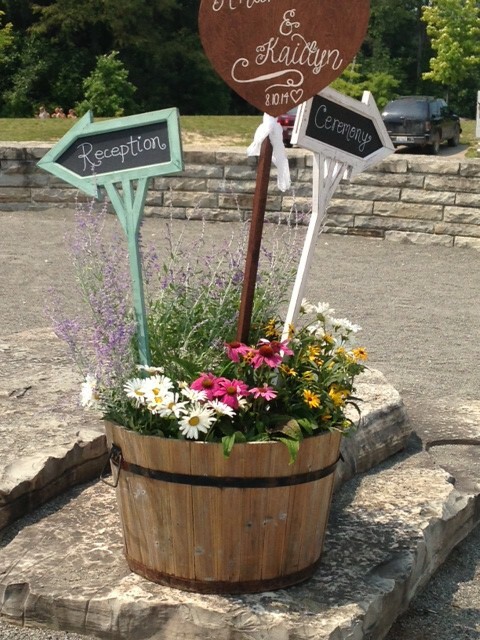 With Tara and Ethan’s planning, we were able to be part of a surprise for the newly married couple. For their recessional, we accompanied Ethan while he sang, You Raise Me Up. Taylor was certainly surprised and touched as this song has special meaning to her. 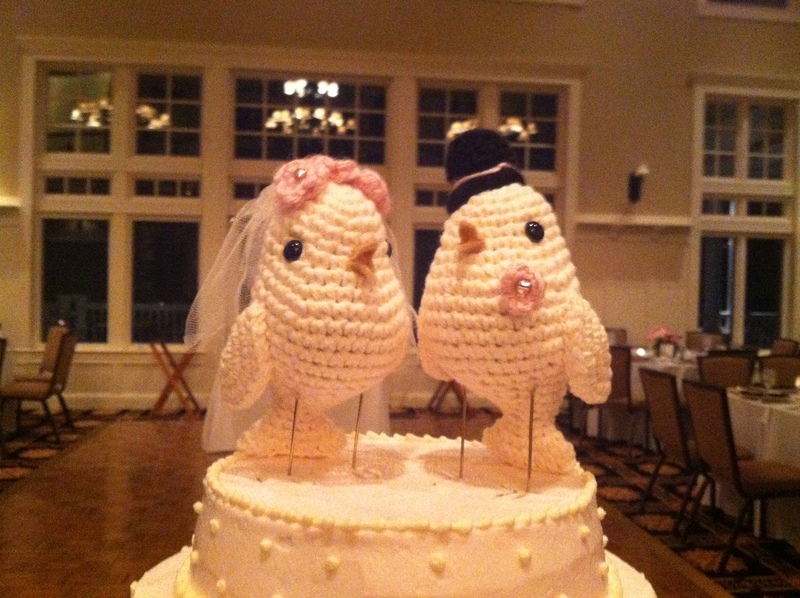 Following the ceremony, the guests enjoyed a reception there at Oakhurst Country Club. Congratulations and best wishes to Tim and Taylor! 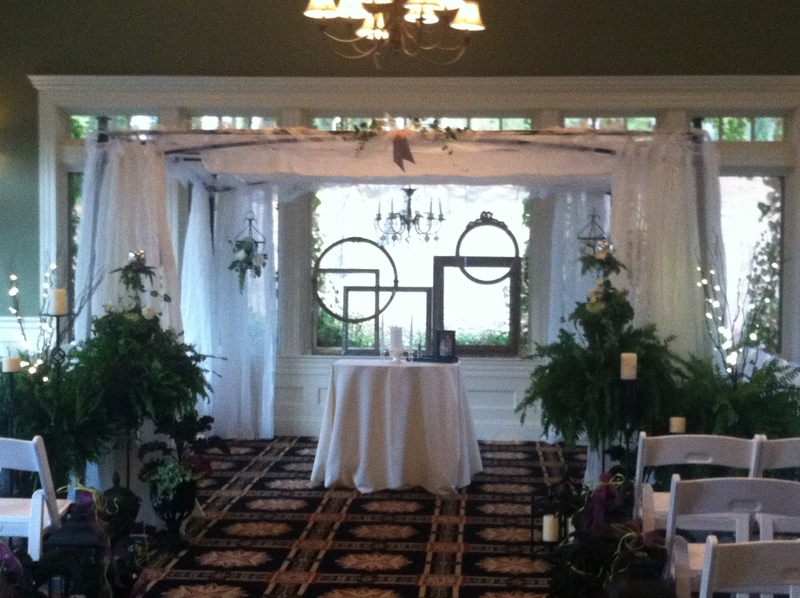 Congratulations to Michelle and Matthew on their wedding at Oakhurst Country Club! 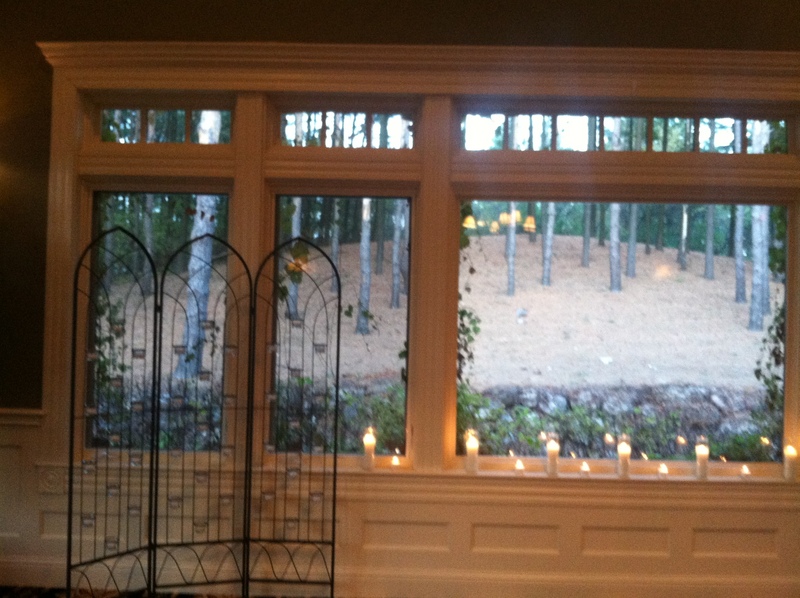 The wedding was originally scheduled for outside but the rain drove the celebration inside to a beautiful room overlooking the pine covered hillside. The couple chose all contemporary music for their wedding and the cocktail hour that followed. Fittingly, we played “Michelle” by the Beatles along with World Needs Now is Love and All You Need Is Love for the couples recessional. The bridal party wore deep purple and processed to Canon in D. The officiant spoke passionately about the importance of faith in one’s marriage. He urged the couple to “Do Four Daily Things for a Healthy Marriage”. First, pray together. Second, sacrifice your agenda for your spouse. 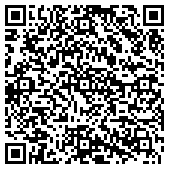 Third, encourage each other as we live in a sarcastic world. And finally, bring optimism into your daily life together. We send Matthew and Michelle our best wishes.